By noon the cool fog of a fall morning had dissipated, and we could sense in the air that it was going to be a bright and sunny day at the Burton Street Agricultural Fair. Somebody started up the grill as basketball players tussled to the bass beat of canned tunes alongside the main building. Down on the field, exhibitors chatted and gathered and organized themselves village style around their displays for the day. 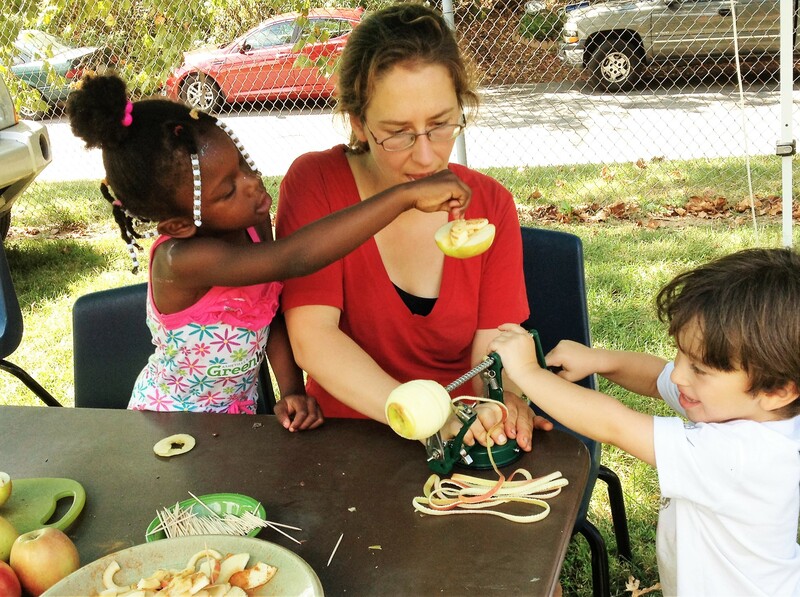 On Saturday, September 17, 2016, the Asheville Buncombe Community Garden Network, local non-profits, and regional businesses set up their booths at the Burton Street Recreation Center across from the oldest of four Burton Street Peace Garden sites. 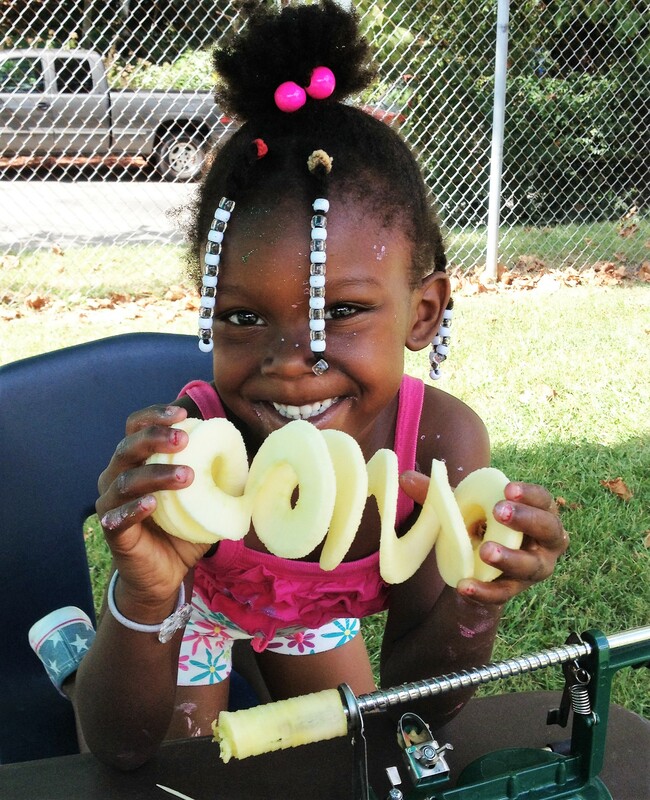 Since 2003, the historically African American Burton Street Community has been providing garden plots, food, artistic explorations, economic opportunities, social activities, and educational programs serving neighbors throughout West Asheville. It is here that we get a peek into the past to revisit the rich agricultural heritage showcased by the Buncombe County and District Agricultural Fair. The fair was held annually from 1916 to 1947 to celebrate the homegrown harvest and handmade products of the African American agricultural community. The last event, in their more than 50 year run, was said to draw 5000 attendees, both Black and White. The original fair was the vision of E.W. Pearson, an honored African American leader in Asheville from 1906 until his death in 1946. 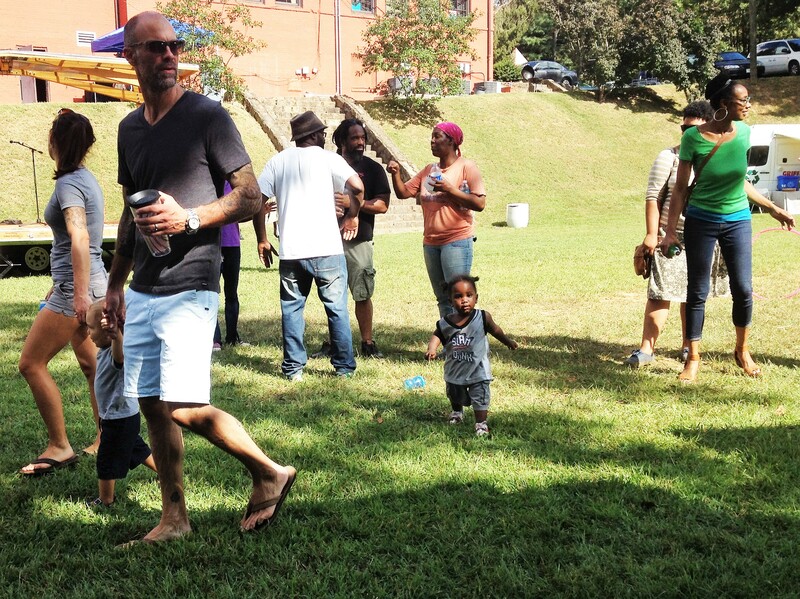 The 2016 revival was inspired by community organizer DeWayne Barton of Hood Huggers International, who has been instrumental in energizing the Burton Street Peace Gardens and related projects in Asheville. On Saturday, the center came alive with activity as youngsters explored a pop-up play area, imaginations at work in a grouping of large cardboard boxes. Sponsored by Hood Huggers, Riverlink showcased their watery ways, including efforts to improve surface water quality in the Smith Mill Creek Watershed. Asheville Greenworks also set up interactive displays on river keeping, and in no time, things began to hum: an angelic a-Capella songstress took turns with energetic, soulful local rappers on stage. The Hop broke out buckets of ice-cream as local residents found just what they were looking for at a family-run clothing booth. AmeriCorps Project Conserve/Organic Growers School had organic apples, lots of apples, and a gadget to peel, core and slice them. 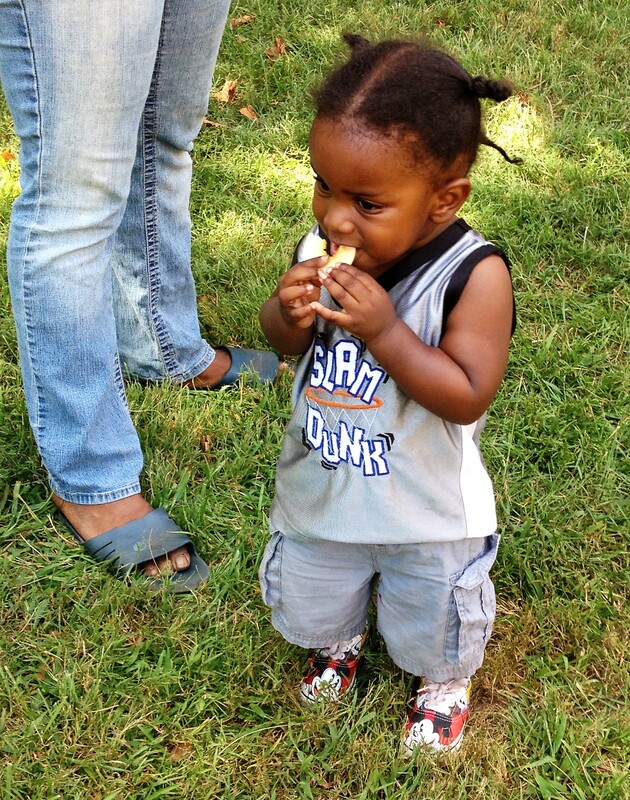 Donated by the French Broad Food Coop, their juicy, crispy goodness was irresistible to fair goers of all ages. The gadget, though, was most popular with the kids, who jostled each other for turns at cranking out apple spirals that somehow tasted better for the effort. One little tyke, not particularly fond of apples at home, discovered he couldn’t get enough of them sprinkled with a bit of cinnamon. If there weren’t exactly 5000 people in attendance, those that did make it had a darned good time. See you next year! Jillian is the 2016-17′ Home Grower Program and Outreach Coordinator and AmeriCorps Service Member at Organic Growers School. Jillian grew up in Los Angeles County, later moving to Tampa, Chicago, and Asheville iin pursuit of her passions. She developed a strong bond to the land early on, and remembers fondly the time spent with her naturalist father and on her grandfather’s farm. These experiences led to professional interests in zoo exhibit landscapes, organic gardening and permaculture as Jillian learned to live with the land, rather than on it.